Since maybe two years ago, I did not now what brow products were. I would never fill in my brows because, honestly, I never felt like I needed it. Yet, the more I discovered about makeup, the more steps I would add to my everyday makeup routine and filling in my brows became one of them. I remember starting with the Makeup Revolution Focus & Fix Eyebrow Shaping Kit in Medium Dark – that I still own – and thinking that my brows looked amazing. Then, I added another step: the brow gel, where I started with the L’oreal Brow Artist Plumper and oh, how I loved that product! Not long after that, I decided that I needed more than just powder to fill in my brows. 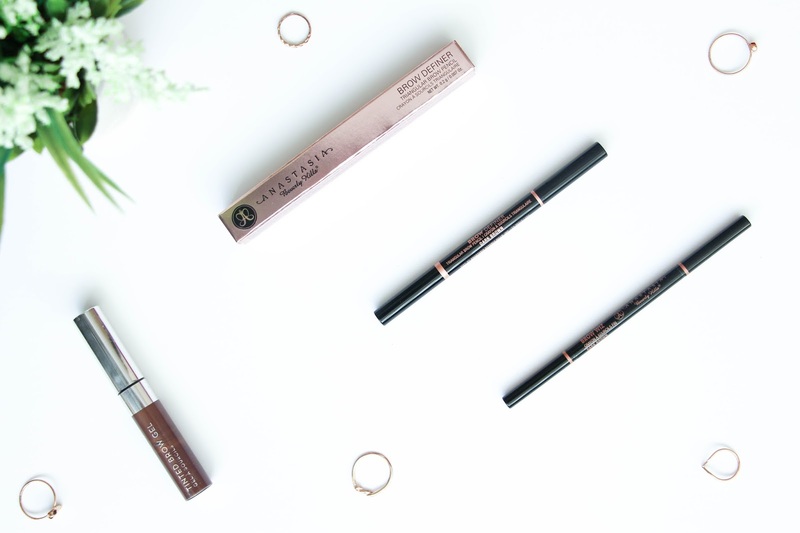 Everyone was raving about Anastasia Beverly Hills and as much as I wanted to try the so adored brow pomade, I went for the Brow Wiz in Dark Brown as I know that it would give me a more natural brow and would also be much easier to use. Not being enough, I also bought the ABH Tinted Brow Gel in the color Espresso. Recently, I changed from the Brow Wiz in Dark Brown to the Brow Definer, also in Dark Brown. When this product was released, I loved how the shape was so different but still, it was designed with the purpose of helping you with the time consuming process that is to fill in your brows. So, after trying both of them, I am here to tell you the verdict – is it worth or not changing from the Brow Wiz to the Brow Definer? I have used the ABH Brow Wiz probably for almost a year now and I love it. It has a very fine tip that allows you to draw every little brow hair if you’d like. It is very precise and it will give you a very natural brow as you have that very fine and thin tip to work with. It is also very creamy and waxy, being very easy to apply and will leave your brows in place all day. As you know, I do very long shifts and my brows were always on fleek. Then the ABH Brow Definer was released and I was not too sure if I should or shouldn’t go for it. The shape and thickness of the pencil made me wonder how precise it could be and if it was really worth the hype. I continued with my so trusted brow wiz but recently I went ahead and bought the Anastasia Beverly Hills Brow Definer in Dark Brown. With such a particular shape, I wanted to find more information on how to use it for best results and so I watched a few YouTube videos on this product – including the one by Anastasia herself that I really recommend. At the end of the day, if you don’t know how to use a tool, you will end up with bad results and you can’t really blame anyone apart from you. When applying it on my hand, I found the pencil to be dry and harsh on the skin. So you can imagine that I felt a bit disappointed. Yet, I carried on drawing some lines to really understand how I should hold the pencil for more fine or thick strokes and the product got really creamy and would effortlessly slide on my hand. Then, I went ahead and started filling in my brows and it was not as easy as I thought. With the Anastasia Beverly Hills Brow Definer, you have to be very conscious of how you hold it depending on what thickness you desire (as you can see on the video above). So the more you practice with it, the best results you will get. I found particularly difficult to fill in the beginning of the brow as I really didn’t want that very strong look. I like to have less product in that and with this pencil, you really need to know how to use it. Using the sharpest tip of the pencil, you will get very fine strokes that you can use to mimic brow hairs in that particular area and I really loved how it looked. When you get the hang of it, filling in your brows will take less time and they do look amazing! It actually gives a really natural look that I was not expecting. Remember to use very light hand for a less strong brow. The spoolie on this pencil is much thicker than the brow wiz and I really like that! It helps to blend the product and avoids any harsh lines for a more natural looking brow. Overall, I am quite happy with this Anastasia Beverly Hills Brow Definer and the more I use it, the more I actually fall in love with it. I feel like it requires a bit more practice than the brow wiz itself but it is definitely worth it. 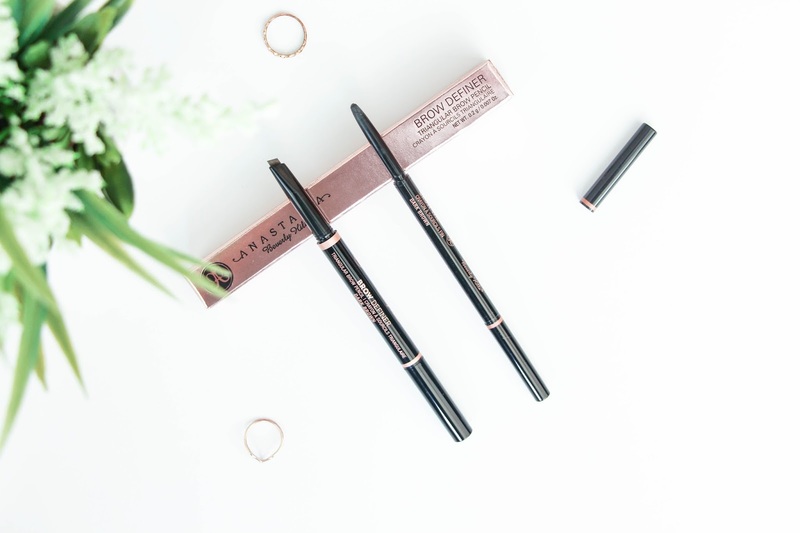 I don’t think I will go back to the Anastasia Beverly Hills Brow Wiz as, for me, the Brow Definer is much more versatile and allows you to be more creative with your brows. You can get the Anastasia Beverly Hills Brow Definer at Beautybay for £16 – to me, it is totally worth the price! Have you ever tried any of these products? Let me know what you think!